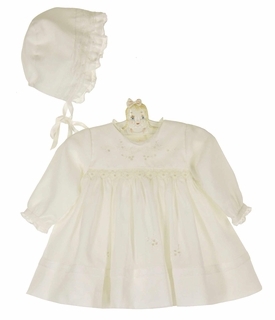 This exquisite ivory cotton blend voile baby dress is made by Sarah Louise, a top British designer of beautiful baby garments. 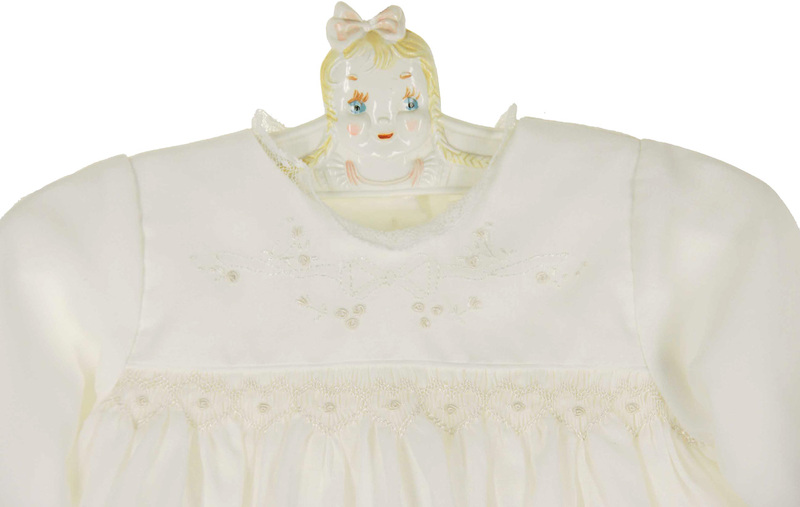 It features a smocked yoke topped with an embroidered bow and ivory rosebuds. Soft lace trims the round neckline and long sleeves. 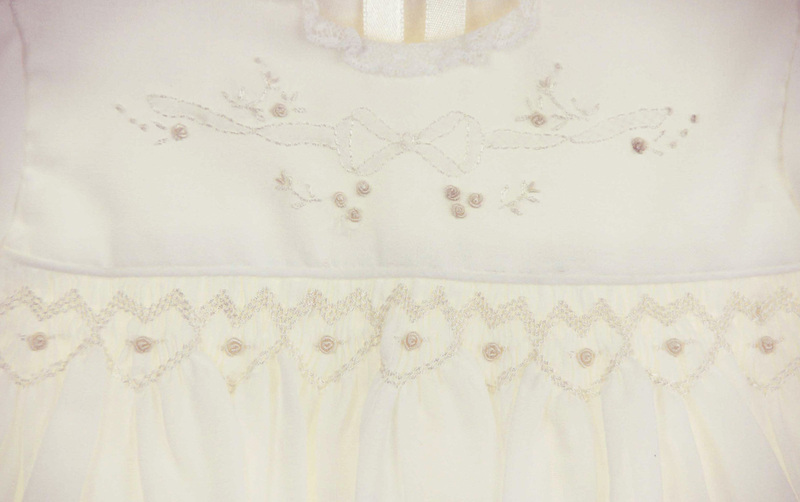 The full skirt has a row of lace and ivory rosebuds rosebuds above the deep 3" hem. 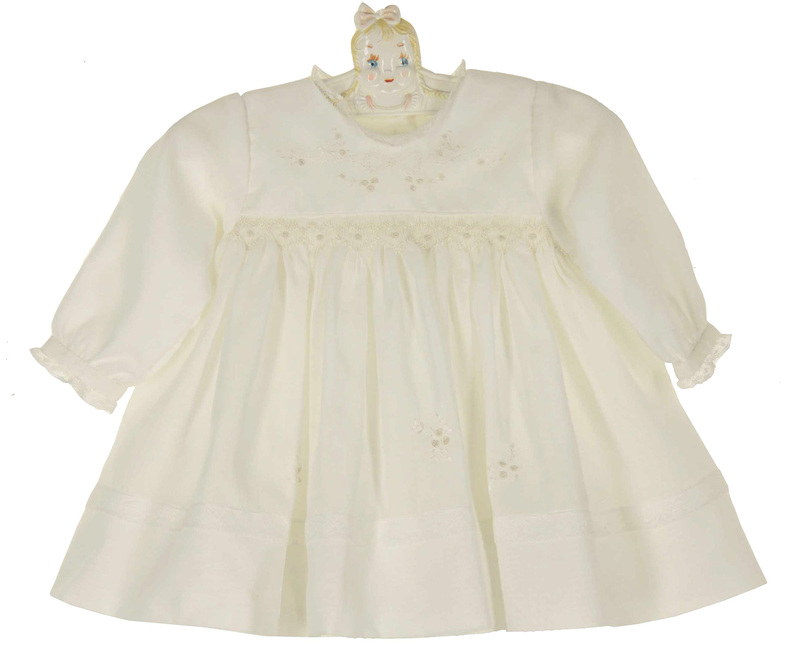 Typical of Sarah Louise design, the dress has an attached petticoat for added fullness. It closes in the back with three small buttons. 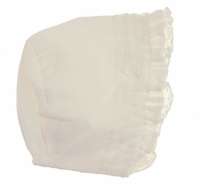 The matching ivory bonnet has a triple row of lace with a lace edged face ruffle.